Founded in 1994, Amazon has changed significantly since its humble days as an online bookstore. Now worth $250 million, the company has surpassed Wal-Mart ($230 million) as the most valuable retailer in the world, with no signs of stopping. Founder Jeff Bezos is considered the 5th richest person in the world, with a net worth of $45 billion. Amazon recruits from schools worldwide to fill their international offices, but what schools does Amazon look at for native recruitment? 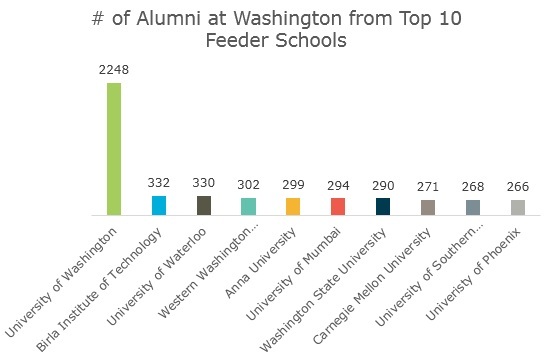 Here are the top 10 feeder schools with alumni at Amazon, with hometown University of Washington holding 46% of alumni. Looking to get in the door with Amazon? Miriam Park, director of MBA and university recruiting, claims that “the internship is a critical pipeline for us for hiring full time.” So how do you nail the internship interview? Though interviews are tailored to the function you are applying for, the 14 leadership principles will sure to be emphasized no matter the job.. Following these goals is to meet the ultimate adjective for Amazonians to “be peculiar,” which is their central mantra. Amazon, as both an e-commerce site and a technology company, offers a surprisingly nice balance between business and tech internships currently available when compared to the typical engineering emphasis of other tech giants. Keep in mind though that not all of these jobs are US based as Amazon has 133 offices worldwide. Median salaries for software engineer interns are $6,222 a month, and financial analysis internships come in at $3,581 a month. With a typical 12 week internship this equates to $18,666 and $10,743, respectively, for the summer internship. Amazon is also well balanced between tech and non-tech fields for positions for those with undergraduate degrees. The Talent Acquisition Development Program provides fast paced growth for graduates to learn about a specific division of Amazon (such as Kindle or retail) and understand the inner workings of the program. This development program will teach you how a successful company like Amazon values talent, and will provide a great start to a career in HR, specifically talent acquisition. Amazon Lab 126 is a division of the Amazon parent company that comes up with new technology products for the consumer, such as Kindle and Echo. This specific job opening involves the development of a new product and working closely with the automation team, so who knows what Amazon is cooking up? Unsurprisingly for a tech job, this position is based in San Francisco, which deviates from Amazon’s headquarters in Seattle. How does Amazon stack up in terms of salary? Overall, 58% of employees believe that they are paid fairly compared to the national average of 54%. This may not seem high, but the highest satisfaction for Amazon compensation comes from stock options. 73% of employees are satisfied with their stock options compared to a whopping 52% of similar sized companies and the 47% national average. 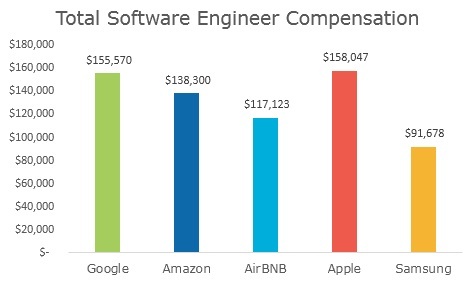 Amazon salaries may not be stellar compared to some of their technology peers, but their stock options are a huge driving force in compensation satisfaction. Unsurprisingly technicians make more than their business counterparts, but that should not dissuade those with a mind for business from applying. 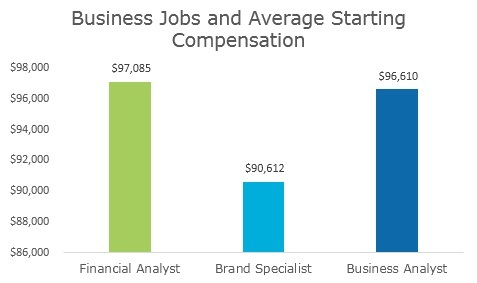 All of the following compensation packages are above the median salaries for similar jobs nationwide. So what’s it like to work at Amazon? The company has recently caught some heat for its stressful, high paced work environment, and it shows in its working hours, with 72% of employees claiming to work 10 hours or more a day. Amazon has tried to alleviate this condition recently though. For example, they recently spent $52 million to put air conditioning into their fulfillment centers. 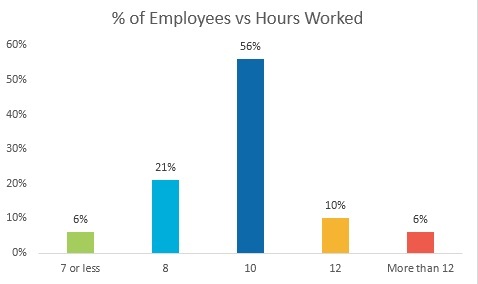 51% of Amazon employees say the work environment is extremely fast paced. This high pace and long hour environment has affected the company atmosphere. Amazon has the second highest turnover rate among other tech companies, though some attribute that to the nature of the tech industry as opposed to Amazon. One anonymous former Amazon employee estimated that most fresh out of college Amazon employees leave within 2 years, and that 70% of contracted workers don’t complete a full year at the company. Amazon is one of the most popular companies in the world, with the finances to back it up. While working there may not be for everybody, those ready for a fast paced environment combining elements both of tech and business shouldn’t hesitate to apply. Interested in other tech companies? Check out our articles on working at Facebook and Uber. For more data like this – including personalized job search and benchmarking tools – sign up for free.